A big advantage of having talent on your team is you have it when your organization needs to find a creative solution. Such is what happened months ago when Concordia University Irvine was planning for the campus visit stage of its regional reaccreditation process with the Western Association of Schools and Colleges (WASC). Invited by WASC to be one of eight institutions involved in its pilot program introducing a new institutional review process, the university tapped into the expertise of our social media manager, Veronica Steele, who developed a first of its kind social media engagement campaign for a WASC reaccreditation visit. Veronica detailed the campaign she developed to engage the Concordia community in a post on her blog, which I’m posting here. As I stated in my last post, just having talent isn’t enough. It’s about contributing to success, and I’m proud to say that our social media campaign played a role in Concordia University Irvine receiving a ten-year reaccreditation by WASC–the longest term of reaccreditation awarded that was achieved by only three of the eight institutions in the pilot program. 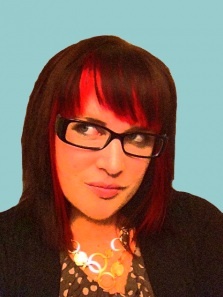 Veronica Steele has emerged as a social media community management leader in higher education. She has spoken at multiple national conferences and has written for numerous publications. She writes about her perspectives on social media on her blog, The Digital Socialite. I recently attended the WASC ARC 2014 conference in L.A. where I presented at a poster board session. (Yes, apparently in some circles poster boards still exist and serve a purpose. Mind blown). My poster board showcased a campaign that I created, produced and executed at Concordia University Irvine (CUI). 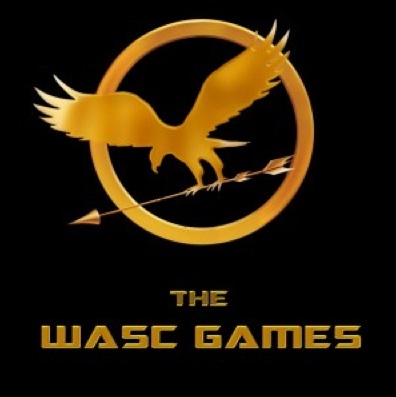 The WASC Campaign (not my most creative title) was designed to promote campus engagement around the education of WASC before the WASC team visit on March 26-28, 2014. I was asked to write the “recipe” for this campaign by WASC so other schools could re-create it on their campuses. Here is my best attempt. Definition: For those of you who are not in the education sector, WASC stands for Western Association of Schools and Colleges and is the major accrediting body for schools (K-College) on the West coast. It’s accreditation is vital for the academic and financial validity and integrity of institutions. When an institution has been accredited or reaccredited the school’s response goes something like this. The entire WASC process is dreaded among campuses. It entails endless amounts of assessment reporting on classes, departments, programs, finances, and student services. Faculty and staff work tirelessly to provide accurate, thorough, and honest reports that meet the guidelines outlined by WASC. In short, it’s a ton of assessing, writing, and paperwork. Social Media Interns = Creative Team, people who help craft content for maximum engagement for various audiences. They also help with grunt work. Social Media Manager = Magician. Enough said. With these key team members in place The WASC Campaign took form. 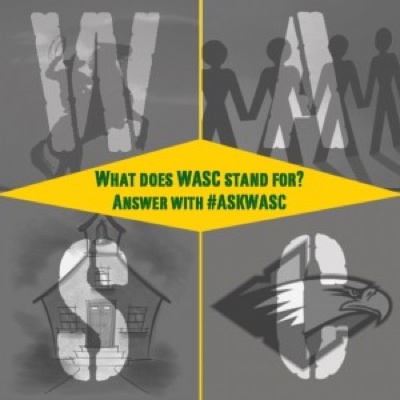 Students were also encouraged to use #AskWASC to share their thoughts, suggestions, or concerns about CUI. We teamed up with the Associated Student Government and Food Services to host #AskWASC Wednesdays and Waffles And Southern Chicken. Being where students were, on social media and in/near the dining hall, is what made this campaign successful. With over 192 responses during the campaign we blew our goal of 40 responses out of the water. To see the life of the campaign visit www.storify.com/concordiairvine/askwasc. Read the Institutional Report (a 75 page report given to WASC one year prior to their campus visit). Answers to the games could be found in the institutional report which made reading it rather important. (Faculty and Staff are always told to read the report but rarely do). Games included fill-in-the-blank Mission Statement, WASC word scramble, draw WASC (what does WASC look like to you? ), and a matching quiz. Points were awarded based off of timeliness, accuracy, and occasionally creativity. Each month announcements were made in faculty and staff meetings sharing the progress of The Game. On March 19, 2014 the final WASC Game was held and two Districts (Academic and Administrative) went head-to-head in a Family Feud style showdown. The winning District (Academic) winning by 1 point, took the Grand Prize of $500.00. The outcomes of The WASC Campaign were greater than I could have ever imaged. Faculty and Staff laughed, smiled and enjoyed hearing the word WASC. Students understood and appreciated who and what WASC was. A campus became united in a cause. So, what can you take from this campaign to make your next campaign a hit? Here are my suggestions. Have a vision. Knowing what you want as a product out of any effort should always be outlined. It’s nearly impossible to measure success without having goals, objectives, and an end result in mind. Be adaptable. Having a desired destination doesn’t mean having everything mapped out. Make the goal getting to the destination and don’t get caught up in how you’ll get there. Things happen. Ideas change. And when they do you need to change too. Have a driver. A driver is someone who is at the wheel, making the day-to-day actions that get things done. If you’re not the driver of a campaign, designate one. It’s hard to get anywhere with no one steering. Have an Executive Champion. I spoke about this in a blog for Hobsons back in 2013. It’s a point I will stand behind always. You can’t always do things yourself. You have to have someone at a higher level supporting and promoting the campaign (or you) and more importantly, engaging with key stakeholders you don’t have access to or influence on. For me, the greatest takeaway I had from The WASC Campaign was memorizing my University’s (and alma mater) Mission Statement. I wrote that from memory, I swear. Feel free to test me any time!